Anyone who has ever had a dental crown or other dental restoration might remember a time consuming treatment process that required multiple trips to the dentist's office. That has all changed, thanks to our modern CEREC® machine. We can now offer same day crowns, veneers, inlays, and onlays, restorations that can be made with the CEREC® system at our office in the Windsor area. The use of the CEREC® system eliminates the need for temporary restorations and the second placement appointment. If you are in need of a same day restoration and would like to learn more about this impressive technology, please contact our office to schedule an appointment with Dr. Stephen Lipman. Dr. Lipman uses a conservative approach when doing any restorative work for patients. He will preserve as much of the existing natural tooth structure as possible while making necessary repairs and improving oral health. The CEREC® system takes digital impressions of the teeth, and mills natural looking, custom restorations. First, we use a digital imaging system, which captures the measurements and dimensions of the teeth being treated. 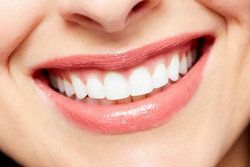 Once we have the high quality images that we need, we can use computer software to design the restoration to your exact specifications, creating a fabrication that will restore or enhance your natural teeth and offer a precise fit. After the design process, the layout of the restoration will be sent to our in-office milling machine to mold it from a solid block of biocompatible ceramic. This durable material can be colored to match the shade of your natural teeth. When the restoration is finished being milled, Dr. Lipman will bond it into place, ensuring a comfortable fit and restoring function and beauty to your smile. The CEREC® system allows for a more efficient process because it eliminates the need for the second treatment appointment. Traditionally, dentists send impressions and design specifications to a dental lab, where the restoration is fabricated and then shipped to the dentist, a process that can take two to three weeks. With CEREC® technology, the restoration is fabricated right here our office; patients can have the tooth prepared and the final, custom restoration placed all in one appointment. The restorations created by the CEREC® system are strong, durable, and closely match the composition of the structure of your natural teeth. This is important because the restorations will behave and react similarly to the rest of your teeth in response to temperature and pressure changes. CEREC® restorations are made from high quality dental ceramic material that looks natural, and can be customized to blend in with surrounding teeth in terms of color and proportion. The CEREC® system eliminates the need for temporary restorations, which are prone to falling out. There is no need to continue wasting valuable time with multiple visits to the dentist just to have one procedure performed. Thousands of people have already discovered the benefits of same day restorations. If you have questions about how the CEREC® system works or would like to schedule a consultation, please contact our office.